You will also discover the laureates and finalists of the 2015 Public Peace Prize who will be presented, one by one, every 2 hours. Meet the Peace Laureates and the Finalists for 2015! 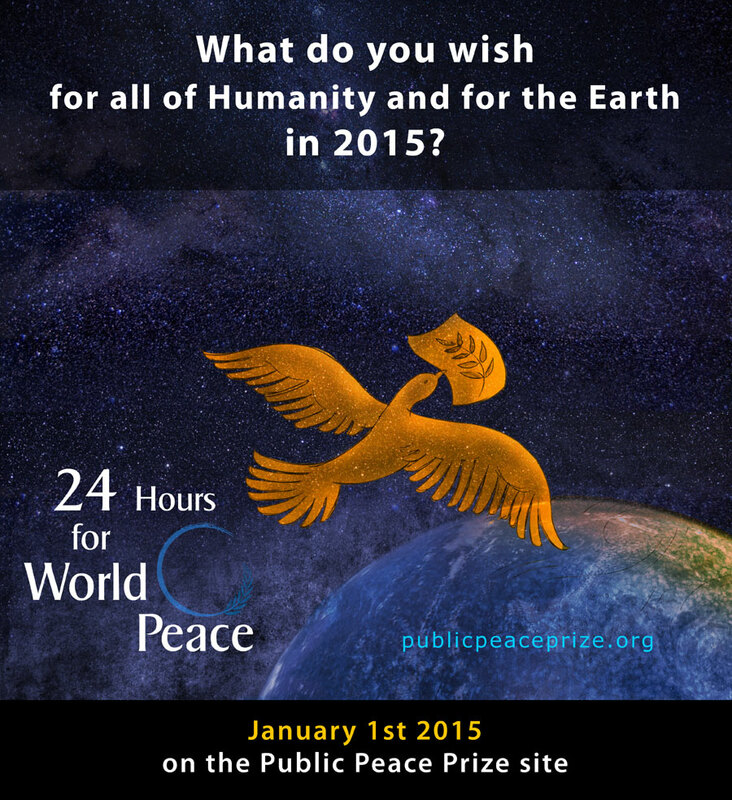 The laureates and finalist for the 2015 Public Peace will be presented every two hours during the 24 Hours for Peace in the World vigil on the PPP website. The candidate who received the most support in his or her category was proclaimed Public Peace Laureate in that category. The candidates who received sufficient support in a calculated proportion* for their category are recognized as finalists for the Public Peace Prize. The support for each candidate was evaluated according to a proportional calculation, taking into account the attendance profile, the number and quality of the comments. Activity on the site and other social media was included in the calculations.